GIVE AWAY!! GIFT CERTIFICATE! ENTER HERE. 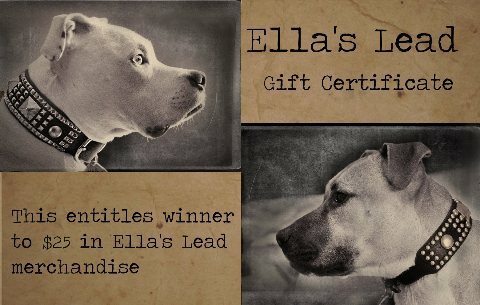 Time for everyone to sign up below by leaving a comment with your first AND last name, for a chance to win a $25 GC towards Ella's Lead products. From now through Tuesday, 6/11/13, you can sign up below for a chance to win. Winner will be announced HERE. But, please, share this contest on facebook so that your friends have a chance to enter and win.